This is a timeline covering the birth and growth of the City of Sunny Isles Beach, from the early days when the locale was referred to as Sunny Isles, to recent times. Find the names of the people who made it all happen and learn about the choices voters made when turning this area into a municipality. Read about the history and view photos of the man who bought the land in the 1920’s, the 1997 Sunny Isles Beach City Commission, the early accomplishments of a young city and much more. In 1920, Harvey Baker Graves, a private investor, purchased a 2.26 square-mile (5.9 km squared) tract of land for development as a tourist resort. He named it “Sunny Isles — The Venice of America.” The area was known as North Miami Beach until 1931, then known as Sunny Isles until 1997. When Haulover bridge was completed in 1925, the area became accessible from Miami Beach, attracting developers who widened streams, dug canals and inlets and created islands and peninsulas for building waterfront properties on Biscayne Bay. In the mid 1990’s a group of community activists decided that quality of life for their community could be improved by incorporating the area known as “Sunny Isles” into a city. The group, which consisted of David P. Samson, Irving Turetsky, Irving Diamond, Norman S. Edelcup, and Danny Iglesias, had the backing of then County Commissioner Gwen Margolis. With the help of others who had been through the incorporation process an election was scheduled. On January 7, 1997, the citizens of Sunny Isles Beach voted to incorporate as a municipality. The vote passed with 72%. Senator Gwen Margolis appoints the City’s first Charter Commission on February 16, 1997, which was comprised of: Emanuel Lassar, CPA, Robert J. Lilienfeld, CPA/Chairperson, Judge Manuel Ramos, Lynn M. Dannheisser, Roslyn Pitsch Brezin and W. Donald Stewart. The City Charter provides for a city commission that is vested with all legislative powers of the City. The Charter also provides for and defines the duties of the City Manager, City Attorney, and City Clerk. The city commission consists of a mayor and four commissioners that serve on a voluntary basis. Dr. Connie Morrow (PhD in Psychology), was elected to the Sunny Isles Beach City Commission on July 29, 1997. She was one of the first commissioners in Sunny Isles Beach. She was the driving force behind the City’s Fashion Film Entertainment and Production Council which hosted tours for location scouts and producers encouraging their crews to use the locations in Sunny Isles Beach for their productions. Danny Iglesias was elected to the Sunny Isles Beach City Commission on July 29, 1997. He was one of the first commissioners in Sunny Isles Beach. During his tenure as commissioner he was instrumental in obtaining grants and safety to complete landscape beautifications along Collins Avenue and side streets, developing regulations for a mixed-use resort district and facilitating the purchase of land for future parks. Lila Kauffman was elected to the Sunny Isles Beach City Commission on July 29, 1997. She was one of the first commissioners of Sunny Isles Beach. Ms. Kauffman felt her position as commissioner was a chance to serve and give back to her community. She was instrumental in working with City staff to launch the City’s Cultural Events program including trips to plays, concerts and local landmarks. She worked to present cultural programs for all ages within the City, an example being the Sunny Serenade Concert Series, and encouraged the City to support initiatives for women. Irving Turetsky was elected to the Sunny Isles Beach City Commission on July 29, 1997. He was one of the first commissioners in Sunny Isles Beach. He also served as Vice Mayor from November 1998 – November 1999. As commissioner he pushed for parks on the beach and beach access, along with free bus service for residents. He was a great listener and negotiator, he greeted everyone as family and always had a kind word for City staff. David P. Samson was elected Mayor of the City of Sunny Isles Beach on July 29, 1997. He was the first Mayor of Sunny Isles Beach. Samson worked with his Commission to establish a police department and bring the crime rate down, to form a code enforcement division and clean up deteriorating properties, and to entice tourism dollars here with the help of the Sunny Isles Beach Resort Association. Those early goals were compatible to residents needs as well, helping property values rise. The residents also began to enjoy more open beach accesses, local parks, a shuttle service, recreation and cultural offerings, including free or low cost special and music events. Dave Samson’s and the founding fathers’ vision of a beautiful city by the sea was underway, accomplishing an astounding amount of progress at the time of the City’s 5th Anniversary in June, 2002. Mayor Samson was re-elected Mayor unopposed in 2001. He served as Mayor until his death on October 12, 2003. On August 8, 1997 the City of Sunny Isles Beach Commission hired their first employee, Lynn Dannheisser. Dannheisser was hired to be the City Attorney and also assisted the City in writing its charter. She played a pivotal role in the City’s early days. Lynn served as City Attorney for 8 years, and would later help to form the Sunny Isles Beach Foundation, a Foundation dedicated to bringing the arts and culture to Sunny Isles Beach. The Sunny Isles Beach City Commission hired the first City Manager, James DiPietro, on December 8, 1997. DiPietro got to work immediately. Elimination of illegal temporary and “A Frame” signs quickly became a City priority. This action quickly led to the undertaking of an A1A beautification project within the City, as well as the undergrounding of public facilities on Collins Avenue. 700 feet or wiring were placed underground at the expense of developers. Sunny Isles Beach approves it’s City Seal. Charles Wachsberg painted the center of the seal and designed the border. In the beginning, there was no office space for the few employees the City Commission had hired to begin working on the development of Sunny Isles Beach. There were no office spaces, no typewriters or computers, and no City Hall. For four months the City operated by telephone from the Village of Pinecrest and Winston Towers. Finally, this small group of employees was able to rent a space in the RK shopping plaza from owner, Ranaan Katz. The first “City Hall” was a bare, concrete floor room with four desks, four chairs on wheels, and four phones. On March 2, 1998, the City of Sunny Isles Beach assumed all Building Department Functions from Miami Dade County. Residents that need building plans before this date would have to obtain them from Miami Dade County. Any plans after March 2, 1998, are now archived by the City of Sunny Isles Beach Building Department. A Public Works Department was also established at this time. The Code Enforcement & Licensing Department is established on July 13, 1998. Code Enforcement responds to complaints of non-compliance with the City of Sunny Isles Beach Code of Ordinances. Miami-Dade County was unable to provide adequate code enforcement in the unincorporated Sunny Isles Beach area for many years prior to the incorporation of the City in 1997. After the Code-Enforcement Department was established, a number of old hotel structures, deemed “unsafe” by the Department, opted to demolish rather than bring their structure up to code. Upon incorporation of Sunny Isles Beach, one of the main goals of City Officials was to establish their own Police Department. After analyzing the experience of other newly incorporated cities, it was found that services delivered at the local level are better than relying on the County. The brand new Police Department, headed by Police Chief, Richard Harrison and Police Captain Fred Maas, hit the streets in August of 1998 using state-of-the-art equipment. Later that year, they also formed a bicycle patrol. Over the first Christmas holiday, the newly minted Police force formed an Anti-Robbery task force to cut down on thefts and purse snatchings. The task force comprised of uniform officers, plain-clothes detectives and supervisory personnel hit the streets, both on foot and in surveillance vehicles. In a short two-three week period, seven incidents occurred. After the task force was created and an atmosphere of high visibility was perpetuated, the incidents diminished to zero. Meanwhile, perpetrators moved on to the surrounding areas in Miami Dade County, and into Broward County where several areas were hit pretty hard. After only a few 5 months, the department had handled over 4,200 cases. The public expressed their satisfaction by way of letters, phone calls, and public appearances in the city commission meetings. The first Sunny Isles Beach Town Hall Meeting was held on October 1, 1998. City residents requested striping of arrows leading from side street to Collins Avenue, which was immediately taken care of. The City of Sunny Isles Beach adopts its first City Budget, that includes property tax as City Revenue. After the first year, a general fund surplus in excess of $1 million was expected. The City of Sunny Isles Beach issues its first publication of the Sunny Isles Beach “Sun” Newspaper. The City of Sunny Isles Beach appointed Richard C. Schulman as the City’s first Historian & Photographer on December 17, 1998. A new service for residents, a City sponsored Post Office opens inside City Hall at 17070 Collins Avenue, Suite 250. A U.S. Government Post Office Employee staffs the Post Office. The City of Sunny Isles Beach acknowledges Congressman E. Clay Shaw and his staff for their help in gaining post office cooperation for this new City service. On Tuesday, February 16, 1999 the City of Sunny Isles Beach began operating a Community Shuttle Service. It was decided that the shuttle would run the length of the City on Collins Avenue with east/west pick up and drop off service. Initially, the community shuttle service operated on Tuesday – Friday. Today our popular SIBshuttle service is managed by the Cultural & Community Services Department and is ever-expanding to serve the residents of Sunny Isles Beach. The City of Sunny Isles Beach has valued Culture & Arts since its earliest stages. Our Cultural Program, now called the “Cultural & Community Services Department” organizes events and programs for youth and adults, and adds a wonderful sense of community to our City. The Cultural & Community Services Department not only organizes events and programs for residents, but offers an afterschool care and seasonal camp programs for Sunny Isles Beach School students. The City of Sunny Isles Beach implements the street sweeper to keep our the City’s streets clean. 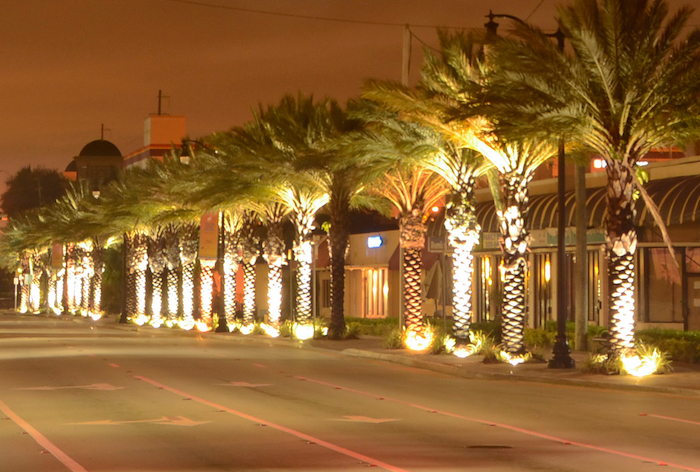 In 1999, the City Commission approved their first major landscaping project for Collins Avenue. Contractors landscaped the medians along Collins Avenue. This project was part of the City’s overall beautification effort. The Police Honor Guard is created, and composed of exceptional officers with military backgrounds. The Honor Guard carries the flags every year at our Veterans Recognition Ceremony. A summer camp program for the children of Sunny Isles Beach is established. The program has grown over the years and now, not only offers general day camps, but specialty and athletic camp programs as well. On August 22, 2000, Chris Russo became the City Manager of the City of Sunny Isles Beach. During this time, Mr. Russo is credited with restructuring this fledgling government and developing the first long term Capital Plan, creating a comprehensive personnel policy and procedure manual, and the first market-driven compensation plan. He also was charged by the City Commission to implement the City’s Comprehensive Plan, and the development and construction of the Government Center which houses not only City departments, but a branch of the Miami-Dade County library and the U.S. Post Office. Mr. Russo held the City Manager position until October 2005, at which time he left to form his own professional management firm. In October of 2012 Mr. Russo returned to Sunny Isles Beach to once again head up the role of City Manager. He currently holds this position. The first Sunny Serenade Concert takes place at Samson Oceanfront Park. A music stage is set up to host the quarterly performances by local and regional artists. The first Comprehensive Plan is adopted to run the city most efficiently. The Comprehensive Plan addressed future land use and zoning code, a city-wide landscape plan, traffic control, a pedestrian safety plan, community design and infrastructure elements, which include housing, capital improvements and coastal management. The City of Sunny Isles Beach opened one of its many parks; Golden Shores Community Park. This community park contains playground equipment, a picnic table and bench swing. The City of Sunny Isles Beach purchases a new property to build a brand new Government Center. The purchased property was home to a Tony Roma’s restaurant. An mutually beneficial agreement was reached to build a brand new Tony Roma’s Restaurant and City Hall on the same property. Tony Roma’s can still be found next to City Hall today. The City of Sunny Isles Beach hosts a tour to those who may want to use the City in photography and film. Sunny Isles Beach is a desirable location for film and photo shoots, due to it’s beautiful location and historical fishing pier. Norman S. Edelcup was elected to the Sunny Isles Beach Commission on September 11, 2001, one of the worst days in U.S. History. Before being elected to the SIB City Commission, Mr. Edelcup’s community involvement included work as a Founder and Director of the Mt. Sinai Medical Center Foundation and a member of the North Miami Beach – Sunny Isles Beach Kiwanis Club. He served as president of the Kiwanis Club of Miami Lakes, a member of the Committee to Incorporate Sunny Isles Beach and a member of the City’s Citizens Planning and Advisory Committee advising the commission on planning and zoning matters addressed in the City’s Comprehensive Plan. Gerry Goodman was elected to the City Commission on his birthday, and also one of the worst days in American history, September 11, 2001. Mr. Goodman, a retired businessman from New York, had previous experience in local Government, serving on his district school board there and here in Sunny Isles Beach as a Chair of the Community Council. His goal as a commissioner was to continue making Sunny Isles Beach a great place to live. He concentrated on zoning, building setbacks, traffic issues and beach access provided by the new developments. The City of Sunny Isles hosted the first Halloween celebration; Booogie by the Beach. A large turnout of families attended in costumes to celebrate Halloween in Sunny Isles Beach. Booogie by the Beach would become a favorite event of City residents that is still held every year. On March 11, 2002 the City began working on the much needed stormwater drainage system in the Golden Shores neighborhood. The long-range plans included a new pump station and deep injection wells in the central area of the city to handle all storm water from 174 street to 183 street, from Collins Avenue to the Bay. The City of Sunny Isles Beach Police Department hosts the first Bike Rodeo to teach children bicycle safety during Bike Safety Month. The City of Sunny Isles Beach begins a project to make the entrance to the City from 163rd Street (Sunny Isles Blvd.) more aesthetically pleasing. With the adoption of the City Budget in September of 2002, the city Commission gave its approval to the first formal Capital Improvement Program. This eight year plan included everything from buildings, stormwater improvements, streetscape plans, landscaping, and park development. The program would result in approximately 40 million dollars of public improvements, mostly for parks, beautification and infrastructure. It represented the most ambitious project undertaken by the City to date. In December of 2001, the City closed on the purchase of the property that housed a Tony Roma’s Restaurant, and designated this centrally located property for the City of Sunny Isles Beach City Hall. In January 2002 the City chose an architectural firm of Spillis Candela and Partners, to design and build a new Tony Roma’s Restaurant and the City Hall. In May 2002, after a competitive qualifying process, the Weitz Company was chosen as the general contractor for the project. A groundbreaking ceremony was held at the end of October 2002 and site work and construction of the new Tony Roma’s Restaurant began. After the new restaurant was completed, demolition of the old restaurant, and construction of the brand new City Hall was scheduled to take place next. Amid much fanfare, the City of Sunny Isles Beach website: (www.sibfl.net), was launched in February 2003. Special exhibits were displayed at Samson Oceanfront Park showcasing the City’s past, present and future; and a fireworks display was presented as a grand finale to the evening. Lewis J. Thaler was elected to the Sunny Isles Beach City Commission on September 9, 2003. He served as a commissioner from September 2003 until November 2012. He was also named Vice-Mayor and served in that position from November 2005 until November 2012. His time on the commission was marked by his support for: controlled growth west of Collins, additional beach access points and lifeguard stands, construction of a K-8 school, a more pedestrian & bicycle friendly town center and better traffic flow along the City’s main corridor, Collins Avenue. Vice Mayor Thaler stayed in touch with residents by walking the beach every day, engaging people in conversations at every City event and attending monthly meetings of local community organizations. After the death of the City’s first Mayor, David P. Samson, Sunny Isles Beach City Commissioner / Vice Mayor, Norman S. Edelcup was appointed Mayor on October 23, 2003. Roslyn Brezin was appointed to the Sunny Isles Beach City Commission on October 27, 2003, when Norman S. Edelcup’s seat was left vacant after being appointed Mayor. In 2003 when Norman S. Edelcup became Mayor, he immediately thought of Roslyn to fill his vacated seat until 2005. One of her first roles as a commissioner was to serve as liaison to the Community Welfare and Safety Committee. Her special areas of interest while serving as Commissioner were the school, beautification, parks, flu shots, safety of marinas in the City and programs for seniors. She was instrumental in moving the bus stop at 158th Street and Collins Avenue from the south side to the north to allow better traffic flow at the south end of the City. She worked to obtain the easement at the south end to allow for beautification. Roslyn always was ready to speak with fellow residents about their concerns or suggestions for improving life in the City. Roslyn served on the City Commission until November 2010. Norman S. Edelcup was officially named the City’s second Mayor after a January 2004 special election. Mayor Edelcup continued to push forward the master plan for the City with help from city commissioners. Under his tenure the SIB Government Center was completed in 2005, housing city offices and police, a Miami-Dade County Branch Library, a United States Post Office and a visitor center. Beach access was expanded, lifeguard protection became part of SIB Public Safety and streetscapes, parks and public parking were all enhanced and expanded. Mayor Edelcup continued to support multiple cultural programs and encouraged staff to form new alliances which provided music, of all genres, in parks and other public spaces. Many of the performances were free and open to the public. A community center was built and the Miami-Dade County K-8 public school was completed with generous support from the City. The school is named the Norman S. Edelcup SIB K-8. On March 28, 2004, the City of Sunny Isles Beach celebrated nearly 300 survivors of the Holocaust who live within the City. The event which came from the wellspring of Mayor Edelcup’s mind, was one of warmth, remembrance, celebration and promise. The effort was orchestrated by Richard C. Schulman and the “Survivor” Committee, whose organization and creativity made kindness and consideration the tone of the event. This effort included the hard work of Joseph Birnbaum, Roslyn Brezin, Irving Diamond, Sam Gasson, Mireille Mechoullam, Lewis Thaler, and Charles Wachsberg, the staff of Temple B’Nai Zion, and many others. The Beach Access at 192nd Street and Collins Avenue is dedicated to Ellen M. Wynne on October 29, 2004. On February 25, 2005, the City of Sunny Isles Beach held a Grand Opening for their brand new City Hall, which was named the “Sunny Isles Beach Government Center.” The 54,000 square foot Government Center is located in a pedestrian friendly area at the heart of the City. The Government Center contains a Post Office, Public Library, Visitor Center, Police Department, Code Enforcement, Parking, Building Department, Commission Offices, Tourism Office and Commission Chambers. On May 19, 2005, the city of Sunny Isles Beach and the city of Netanya Israel formally became Sister Cities in an official signing ceremony. Netanya became the first Sister City to Sunny Isles Beach. The Sister Cities International Program, initiated in our City in 2005, encourages exchange of culture, tourism and commerce between the member cities. On October 24, 2005 Hurricane Wilma tracked from the Yucatan Peninsula, to the northeast, across South Florida, bringing much damage in its wake. Hurricane Wilma was the most intense tropical cyclone ever recorded in the Atlantic Basin. It was part of the record-breaking 2005 Atlantic Hurricane season, which included three of the six most intense Atlantic hurricanes ever (along with #4 Rita and #6 Katrina). Wilma came ashore in Southwest Florida as a Category 3 Hurricane. As Wilma was crossing Florida, it briefly weakened back to a Category 2, but again re-intensified as it reached the Atlantic Ocean, with 110 mph winds. While the eye of the Hurricane stayed just to the north of West Palm Beach, its wide berth caused widespread damage. The historic Newport Fishing Pier in Sunny Isles Beach sustained severe damaged from Hurricane Wilma. The 928 foot pier was mostly shut down after the hurricane. A structural analysis by an engineering company found damaged planks and heavy corrosion in the hardware holding the pier together. It was advised the pier be removed. City Officials would later work to restore and revitalize the pier, saving it from suggested demolishment and solidifying it’s place in Sunny Isles Beach history. Town Center Park, located at 17200 Collins Avenue, opens for the first time, with a ribbon cutting, dedication and celebration. Town Center Park is a 3-acre park located on the west side of Collins Avenue. Formerly a 1-story shopping mall, this property was donated to the city by a developer. The Park includes a playground fitness trail, and gazebo. Much of this property is state-protected wetland area. Roslyn Brezin was re-elected to the Sunny Isles Beach City Commission on November 8, 2005. After being appointed to the commission in 2003, and serving as Vice-Mayor for a year, Ms. Brezin was re-elected in 2005. She served on the City Commission until November 2010. The City of Sunny Isles Beach holds its first Annual Winter Festival featuring ice skating, Kris Kringle and rides and games at Heritage Park. The Sunny Isles Beach Winter Fest now feature ice skating on Winter Fest weekend. The City of Sunny Isles Beach hosts the first Egg Scramble to welcome the Spring season. The Sunny Isles Beach Egg Scramble has grown in size over the years, and is a favorite among residents. The Beach Access at 19101 Collins Avenue is dedicated to William “Bill” Lone on November 21, 2006. The Beach Access at 178th Street & Collins Avenue is dedicated to Walter Bresslour on December 29, 2006. The Beach Access at 189th Street & Collins Avenue is dedicated to Cecile Sippin on February 23, 2007. George “Bud” Scholl was elected to the City Commission in Sunny Isles Beach on November 6, 2007. Bud has always exhibited a firm belief in community service and teaching his children the importance of community service has always been a strong motivator for his own involvement in the community. He has volunteered his time in numerous City of Sunny Isles Beach positions over the years serving as – Chairman of the Charter Revision Commission, a member of the City Manager’s Financial Advisory Committee, a member of the City Attorney’s Search Committee and a member of the City Manager’s Search Committee. At the time of becoming a City Commissioner he was serving as Chairman of the Long Range Planning and Intergovernmental Affairs Committee and Chairman of the Historic Preservation Board. He has been a vocal resident of his community regularly speaking out at Commission meetings on a variety of matters of importance to the shaping of our community. Bud also served as Vice Mayor during his term in office, and in 2014 was elected to be the third Mayor of Sunny Isles Beach. The Beach Access at 18001 Collins Avenue is dedicated to Simon Dezer on December 7, 2007. On February 22, 2008, 178th Street was dedicated to one of Sunny Isles Beach’s first City Commissioners, Danny Iglesias. MTV films a Spring Break special in Sunny Isles Beach. 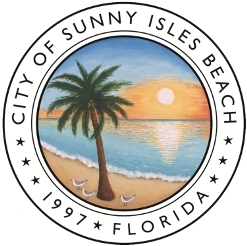 The City of Sunny Isles Beach opened a new dog park for the enjoyment of SIB residents and their furry friends on May, 16, 2008. The dog park is a small part of Senator Gwen Margolis Park, located at 17815 North Bay Road. The City of Sunny Isles Beach and the Miami Dade County of Parks Department hosted the Sunny Isles Beach Offshore Power Boat Race on June 19 – 22, 2008. Power boat racing in Sunny Isles Beach was made famous back in the 70’s by racers such as Don Aronow. Offshore race teams and fans from all over the United States streamed into Sunny Isles Beach to get ready for the action packed weekend. Scenic Haulover Park was turned into a Race Village for the three day event, which was the center of all non racing activities. With so many younger families with children moving to Sunny Isles Beach, the goal to build a school within city limits became a top priority. Making an investment in the future, the City Commission voted to increase an $8.5 million grant awarded to the Miami-Dade school district to help acquire the 2.1 acre site for a K-8 public school in Sunny Isles Beach, at 201 182nd Drive. On May 8, 2007, the City in partnership with the City of Sunny Isles Beach, MCM Corporation, and SBLM Architects held a groundbreaking ceremony for the construction of the school. In August of 2008, the Sunny Isles Beach K-8 Elementary School opened for the first day of school with facilities for 1,624 student stations. The school includes a four-story classroom building and two-story administration, media center and cafeteria/auditorium…supporting the site are three levels of raised parking. Sunny Isles Beach celebrated the Grand Opening of Pelican Community Park on August 23, 2008. Since then, Pelican Community Park has become a center for activity, learning and community involvement in Sunny Isles Beach. Working in close cooperation with the Norman S. Edelcup Sunny Isles Beach K-8 School, Pelican Community Park offers a two-story Community Center with classrooms and a fitness center and a variety of seasonal programs for children and adults, in addition to after school programs and camps. The Beach Access at 17201 Collins Avenue is dedicated to Irving Diamond on August 25, 2008. The first Annual Sunny Isles Beach Jazz Fest is held featuring local and international performers, including Nestor Torres, Nicole Henry, Ed Calle, Roberto Perera and Maryel Epps. The Sunny Isles Beach Jazz Fest has become an annual event that draws a crowd from all over South Florida, and has featured internationally acclaimed jazz musicians such as David Benoit, the Neville Brothers, Michael Lington, and Spyro Gyro. The City of Sunny Isles Beach hosts the first Holiday Ball at Pelican Community Park. Residents enjoyed dinner and dancing with friends and family in celebration of the holiday season. On April 15, 2009, 175th Terrace in Sunny Isles Beach was dedicated to Irving Turetsky, one of the first commissioners of Sunny Isles Beach. His family joined him, along with City Officials for the dedication ceremony. On October 16, 2009, the Sunny Isles Beach Government Center opened it’s History Hall on the First Floor of the Government Center building. City Historian, Richard C. Schulman gathered pictures, old postcards of popular motels, and copies for display. The Hall tells the story of the history of Sunny Isles Beach. Beach access at 19501 Collins Avenue was dedicated to Bennett Lifter on January 30, 2010. Mr. Lifter built the Marco Polo and Waikiki hotels in the City. He loved Sunny Isles Beach. SIB residents and local bike enthusiasts participated in the Dedication Ceremony for the City’s new Bicycle Path on April 11, 2010. The Path runs from 183rd Street to 174th Street on the sidewalk area. The event began with a bay front dedication ceremony followed by a ceremonial bicycle ride along the new Bicycle Path. Cyclists ended at Senator Gwen Margolis Park with a breakfast reception. On June 17, 2010 Mayor Norman S. Edelcup announced the creation of an Annual Scholarship Program for eligible Sunny Isles Beach college bound seniors. The program began its application process in January of 2011 and the first group of scholarship winners were awarded in May 2011. Jeanette Gatto was elected to the Sunny Isles Beach City Commission on November 2, 2010. She was re-elected on November 4, 2014, and also served as Vice-Mayor from November 2014 – November 2016. Though her career took her to New York, California and back again, she never really felt that she left her South Florida roots and moved back to Sunny Isles Beach as a permanent resident with her husband, Joseph. Jeanette’s interest in politics began at a very early age when her father, Frank C. Gatto, ran for office in a local district election in Brooklyn. She decided to run for commission in Spring 2010 in part as a tribute to her father who was also a public servant and appointed by then New York Governor Hugh Carey as Major in the New York Guard as Command Engineer. Isaac Aelion was elected to the Sunny Isles Beach City Commission on December 7, 2010. He was re-elected on November 4, 2014, and also served as Vice-Mayor from November 2012 through November 2014. In 1994, Isaac Aelion moved to the United States from Canada and chose Sunny Isles Beach as his place of residence due to family ties. He decided to become an active community volunteer and help in the transformation of the city. In 2002, he joined the City of Sunny Isles Beach Mayor’s Advisory Committee on Education and later the Tourism and Development Committee, along with City of Sunny Isles Beach Mayor’s Advisory Committee on Beach Fact Finding and served as Chairperson of the Capital Projects Subcommittee. On April 18, 2011 at 10:00 a.m. a dedication ceremony was held in honor of former Commissioner Gerry Goodman. 182nd Drive in Sunny Isles Beach was renamed in his honor. He was honored for all his service to the City of Sunny Isles Beach by family, friends, and professional colleagues. On June 8, 2011 at 10:00 a.m. a dedication ceremony was held in honor of former Commissioner Roslyn Brezin. She was honored for service to the City of Sunny Isles Beach by family, friends, and professional colleagues. Heritage Park one of the City’s premier parks held its dedication ceremony on June 17, 2011 and opened to the public. Heritage Park includes four acres of park and play space including 2 playgrounds, a Veterans Memorial Wall and fountains, water play area, stage, dog park, large open lawn and public parking garage. Many of our annual events are held at Heritage Park as well as concerts and performances. On Wednesday, June 15, 2011 the Miami-Dade County School Board officially changed the name of Sunny Isles Beach’s K-8 Public School to Norman S. Edelcup / Sunny Isles Beach K-8. It was a well deserved honor for Sunny Isles’s Beach’s Mayor, who worked hard to build a school in our City. On September 21, 2011 City officials gathered in front of the school to hold a re-naming ceremony for the school. Another honor given to the school was the designation of “A” school status, which NSE SIB K-8 had earned from the state in 2009, 2010 and 2011, and has continued to maintain throughout the years. The City of Sunny Isles Beach hosts the first Beethoven on the Beach event with classical sounds from Orchestra Miami. A groundbreaking ceremony was held at the site for the City’s newest park on June 14, 2012. Gateway Park, located at 151 Sunny Isles Blvd, is a 5-acre park that has a performing arts stage, butterfly garden, play area, interactive water feature, community gathering space, parking garage and a food market, which will include a variety of restaurants, bakeries, food and beverage stations, and retail items. Jennifer Levin was elected to the Sunny Isles Beach City Commission on November 6, 2012. She served until November 2016. Jennifer Levin was born and raised in Miami-Dade County. Her Russian-born paternal grandparents moved the Levin family to Miami Beach in 1922. Jennifer attended Miami-Dade County Public Schools, graduating from Miami Senior High School. Thereafter, she earned her Bachelor’s Degree in Business Administration from Florida International University in 1990 after having transferred from Miami-Dade Community College. In 1993, she graduated from the University of Miami, School of Law. Hired by an Aventura law firm, Jennifer moved to Sunny Isles Beach in 1994. Commissioner Levin’s legal practice has been predominantly in the areas of Real Property Law including Condominium and Community Association Law (developer, association and unit owner representation), and Business and General Transactional Law. She is also a Florida Civil Law Notary, a position held only by attorneys after qualification. On November 19, 2012, Sunny Isles Beach became sister cities with Taormina, Italy. Sunny Isles Beach Mayor Norman Edelcup and Mayor Mauro Passalaqua of Taormina, Sicily in Italy, signed agreements written both in English and Italian that bonds these two cities as Sister Cities. The Sunny Isles Beach Commission attended the formal signing ceremony in the host city of Taormina as well as the Taormina Council and President Eugenio Raneri, their business community and their tourism committee. On June 16, 2013, the weekend of the City’s 16th Anniversary Celebration, the Newport Fishing Pier held its Grand Re-Opening Celebration with fireworks, food and drinks. After being damaged by Hurricane Wilma in 2005, the reconstruction of the pier was made possible by the formation of a partnership and the transfer of ownership of the pier from the Newport Beachside Resort to the City. City of Sunny Isles Beach officials signed a sister-city agreement with delegates from Hengchun, Taiwan on Monday, June 17, 2013 in the City of Sunny Isles Beach Commission Chambers. Hengchun is the third Sister City of Sunny Isles Beach. To accommodate the growing population of youth in Sunny Isles Beach, the City helped to fund a school expansion project in 2012-2013 that increased the school’s capacity from 1640 to 1900 children by the 2013/14 school year. Twelve new classrooms were added to the building. A fifth floor was added to the parking garage and the entire eighth grade and selected seventh grade classes are now housed in that area. The City of Sunny Isles Beach unveiled Intracoastal Park for the first time on April 24, 2014. Intracoastal Park is a linear park system made up of four smaller parcels to create an Intracoastal Park north and south. This waterfront oasis is a luscious green landscape with picnic benches, seating, a bike rack, and inspired sculptures. The fenced Dezer Family Playground is located at the southernmost end of the park system and overlooks the scenic and quiet waters of the Intracoastal Waterway. A ribbon-cutting ceremony marked the official opening of the Beach Bar at the Newport Fishing Pier on Friday, July 11, 2014. Dr. Robert Cornfeld and Steven Hurowitz, of the Newport Group, joined Frank Zaffere, Beach Bar partner, and Sunny Isles Beach Mayor Norman S. Edelcup as they launched the restaurant on the historic pier. On Monday, October 20th, 2014 at 11:00 a.m. special guest Mayor Miriam Fierberg-Ikar of Netanya, Israel and Sunny Isles Beach Mayor Norman S. Edelcup joined the Steiger Family in a ribbon cutting ceremony for the new A rated office building in the City. One Netanya, named after our Sister City in Israel, was a labor of love by local developer and resident Arie Steiger who grew up in Netanya. The event was attended by both Sunny Isles Beach and Netanya city officials, the Israeli Consul General Chaim Scham, Mount Sinai Medical Center representatives, and members of The Steiger Group who hosted the event. George “Bud” Scholl was elected the third Mayor of Sunny Isles Beach on November 4, 2014. Dana Goldman was appointed to the City Commission on December 2, 2014, after George “Bud” Scholl’s seat was vacated after he was elected Mayor. She was re-elected in November 2016 and was then appointed Vice Mayor on December 15, 2016. Ms. Goldman has been actively involved in the community as a contributing member of various organizations, civic boards and associations including the Miami Coalition of Christians and Jews (MCCJ), Commercial Real Estate Women (CREW) – Miami, the Miami Association of Realtors, and the Real Property, Probate and Trust Law Section of the Florida Bar, Condominium & Planned Development Committee. Most recently, she has served as Chair of the Citizens Advisory Committee for the City of Sunny Isles Beach, Florida where she has been involved in various initiatives, including social media, electronic signage, and the “Condominium Workshop Series” in partnership with the City. Dana Goldman was officially elected to the Sunny Isles Beach City Commission on February 17, 2015 after being appointed to the Commission in November, after George “Bud” Scholl’s seat was vacated when he was elected Mayor. She was re-elected to the commission in November 2016, and appointed Vice-Mayor in December 2016. City officials gathered on February 19, 2015 to honor the Dezer Family with the renaming of 185th Street in Sunny Isles Beach to “Dezer Way.” The Dezer Family has had a generous and philanthropic interest in Sunny Isles Beach and contributed greatly to out City. In late 2015 Sunny Isles Beach Mayor George “Bud” Scholl challenged the City’s IT Department to come up with some ideas to keep our City on the cutting edge of new technologies and conveniences that can serve our residents. The first idea City employees implemented was solar powered smart benches in our City’s parks. These “Soofa Benches” are solar electric powered charging stations equipped with Universal Serial Bus (USB) outlets. The Soofa benches provide power to electronic devices while people are in the park taking advantage of the free Wireless Internet (WiFi) offered by the City. Using the abundant Florida sunshine, the benches convert solar to electrical power, at no cost except the initial investment of purchasing the equipment. Over the years many of our City’s sidewalks have developed cracks, uneven joints caused by settlement, tree roots and other factors. In 2016, the City embarked on a safety program to evaluate and inspect all sidewalks on the west side of the city and make necessary repairs. This program resulted in the elimination of over 22 trip hazards from existing sidewalks throughout the City. Most of this phase of the project involved grinding down raised slabs and uneven joins in the concrete. This program was acknowledged by the City’s general liability insurer Preferred Governmental Insurance Trust. The City was awarded one of PGIT’s yearly $5,000 incentive grants recognizing our efforts to create a safer environment for pedestrians, while reducing the liability risk within the City. Gateway Park held a soft opening to the public on November 24, 2016, with limited hours. This 5-acre park features a performing arts stage, butterfly garden, play area including an interactive water feature, a community gathering space, parking garage, and a distinctive food market named “MarkEat,” which will include a variety of restaurants, bakeries, food and beverage stations, and retail items, with indoor and outdoor dining space. This amazing park is located in the center of the City at 151 Sunny Isles Blvd. and is sure to be soon known as the City’s premier park. Larisa Svechin was elected to the Sunny Isles Beach City Commission on December 8, 2016. Her 4 school-aged children attend Norman S. Edelcup Sunny Isles Beach K-8, and actively participate in the programs at Pelican Community Park. Larisa is the President of the Sunny Isles Beach PTSA. She is active in the Greater Miami Jewish Federation, the Citizen’s Coalition for Public Education, the Sunny Isles Beach Foundation, and the Social Citizens of SE Dade. She volunteers with the Kiwanis Club, is a past President of Friends of Oleta River Park, a Board member of the Miami Dade County PTA, and an enthusiastic supporter of the Dade County Police Benevolent Association. On March 16, 2017, the Botanical Gardens at the south end of Senator Gwen Margolis Park were dedicated to former Commissioner, Lila Kauffman. The Garden is now known as “City Commissioner Lila Kauffman Botanical Garden.” Trees and plants in that area are identified, along with a plaque in remembrance of Lila. After a year-long renovation, Samson Oceanfront Park, located at 17425 Collins Avenue, re-opened to the public following a much needed upgrade. Once the site of two rundown motels, the Beach Cove Resort and the Princess Beach Motel, this park was first dedicated in July 2000 as the City first park. After continuous use from 2000 – 2015, it was in disrepair and no longer sufficiently served the residents. This renovation, which started on January 11, 2016 included the expansion of the existing restrooms, additional beach showers, a solid cover over a new playground, a second pavilion that doubles as a stage, more than tripled seating and the boardwalk was refurbished for this prime beach access. In May of 2017 the City of Sunny Isles Beach began offering a PayByPhone Parking option in all municipal lots. This new option allows you to pay for parking using your smart phone via the PayByPhone app. The app also allows users to add more time to their meter via their smart phone without returning to their car.